Growing increasingly relevant in modern times, James' letter on living out faith will help translate God's word into everyday action. 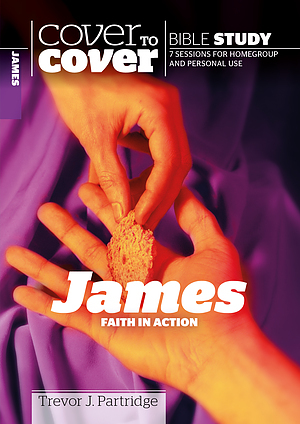 Cover to Cover Bible Study: James by Trevor Partridge was published by CWR in February 2004 and is our 2309th best seller. The ISBN for Cover to Cover Bible Study: James is 9781853452932. Be the first to review Cover to Cover Bible Study: James! Got a question? No problem! Just click here to ask us about Cover to Cover Bible Study: James. Can you tell me how many sections this bible study has? A:James Faith in Action PB Bible Study contains seven sessions that can be used for home group or personal use.